Periodontal disease, more commonly known as “gum disease” is an inflammatory disorder that affects teeth and surrounding tissues. Gum disease is a pathological condition caused by a microorganism (periodontal bacteria) that adheres and grows on the surface of teeth. Gums, roots, periodontal ligament and alveolar bone along with teeth are the areas affected by this disease. In other words, we can say that this disease affects the tissues, which surround and support the teeth. This condition is a result of poor oral hygiene habits, uncontrolled diabetes and misaligned teeth. 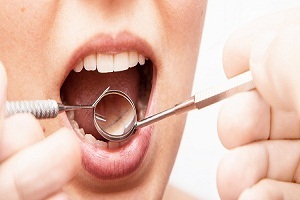 Some medications such as phenytoin and birth control pills also induce gum disease. The underlying reason of the disease is the constant deposition of plaque (sticky bacterial film) on the surface and base of teeth. In the early stages of periodontal disease, the infection only affects gums. As soon as the infection advances, it also causes damage to tissues, teeth and underlying bone structure. 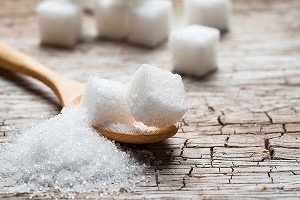 Read more about the causes of gum disease. Since most of the gum diseases are painless, the person may not know that he/she is suffering from it. Swollen and bleeding gums are the early signs that should not be left untreated. 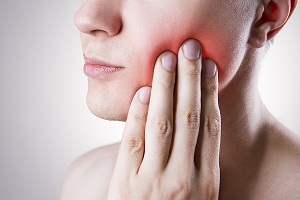 Read about signs and symptoms of periodontal disease (gum disease). According to a recent survey, most of the world’s population suffer from one or the other form of gum disease. Doctors say that people in between the age group 16-24 years are more likely to get this infection and people over the age of 65 years generally have healthy gums. Despite being preventable, it is very commonly found in people worldwide. Diagnosis of gum disease is done by clinical examination of soft gum tissues around the teeth with a probe. 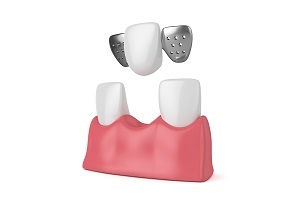 This is to determine the bone loss around the teeth. 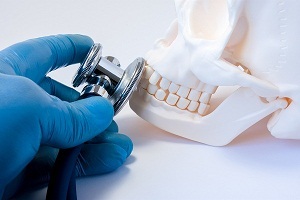 Read about diagnosis of gum disease. If left untreated, the condition can get worse and infection may spread to unaffected teeth and tissues. It can destroy the structural support of teeth in jawbone as well, resulting in loosening and falling of teeth. However, the condition can be prevented by taking care of gums and teeth. 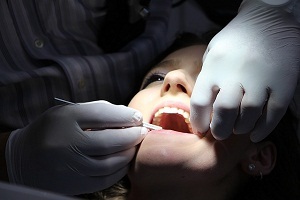 Read about treating the gum disease. Brushing teeth twice a day and flossing daily along with regular dental checkups reduce the risk of getting this infection. It is a non-destructive disease that occurs around the teeth and causes inflammation of the gums. The most common cause of this disease is deposition of plaque (bacterial biofilm) on the teeth. It is also called as plaque-induced gingivitis. Gingivitis starts when food particles mixed with saliva sticks on surface and base of your teeth in the form of plaque. If dental plaque is not removed by brushing and flossing, it gets mineralized to form tartar. This tartar is very hard and can only be removed by professional dental cleaning. Both plaque and tartar have harmful bacteria that cause irritation in gums. As the bacteria thrive (grows) and multiply, it produces harmful products that stimulate the defense mechanism and inflammatory response in the gums. Gingivitis varies widely in severity. The gums of the person suffering from gingivitis may appear shinier because of swelling and stretching of tissues. The stippling (spots) present on the gums of some people may also disappear. 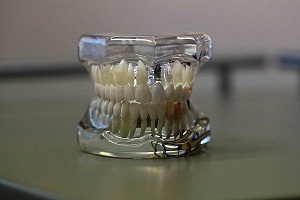 The longer plaque stays on teeth, more harmful it becomes. The accumulation of plaque also emits an unpleasant odor. The gums tend to bleed even with gentle brushing and flossing as the gum lining becomes sore. It often develops during puberty or onset of adulthood due to hormonal changes. This form of gum disease generally does not include any loss of bone and tissue holding teeth. If left untreated, gingivitis extends from gums to the bone and develops into periodontitis. This result in tissue destruction and bone resorption (reabsorbed into the circulation of cells or tissue). 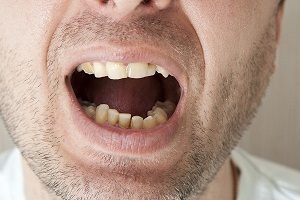 Extreme pain while chewing and bad breath are common signs of periodontitis. As the core bone underlying the teeth is infected, it starts receding away from teeth. 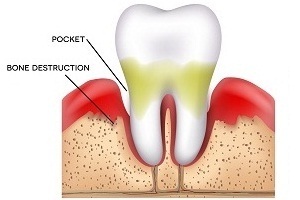 As a consequence of receding bones, deep gum pockets are formed. These pockets collect plaque and bacteria and are extremely difficult to clean resulting in more bone loss. 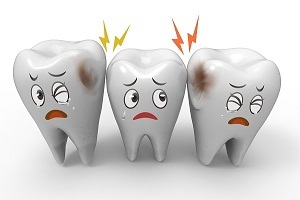 Bacterial toxins and defense mechanism starts to break down the bone and connective tissue that holds your teeth in place. The process may sometimes take years to develop but sooner or later, the bone loss will result in loss of teeth. 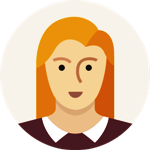 You can read more about the signs and symptoms of gingivitis and periodontitis here. As the disease progresses, chronic inflammation causes damage to the jawbones along with the teeth. Gingivitis and periodontitis are not the same things, but sometimes a person may suffer from both. Gingivitis is reversible with good oral hygiene and medications whereas periodontitis is not. Everyday care of teeth and gums determines whether the infection will stop, slow down or worsen up. It is the most common type of periodontitis. It affects mainly adults but children are also diagnosed with this gum disease. It is caused by the plaque build-up and involves slow deterioration of teeth. 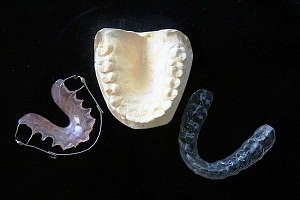 The condition gets worse with time and causes destruction in gums and loss of teeth. This type of periodontitis usually begins in childhood or early adulthood and affects a small number of people. It is frequently diagnosed in people with family history of gum disease and causes rapid destruction of teeth if left untreated. This type of periodontitis occurs in people with suppressed immune system. People suffering from HIV infection or undergoing cancer treatment are more likely to develop this disease. It causes the death of gum tissue, teeth ligaments and supporting bones. 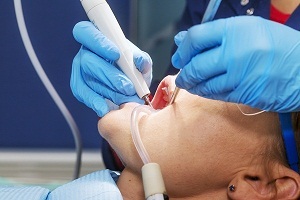 People suffering from malnutrition are also at risk of developing necrotizing periodontitis. Complications Associated with Supernumerary Teeth Supernumerary teeth are those teeth which are additional or in excess of the normal number of teeth. They can be either single or multiple, unilateral or bilateral and can be present. . . .